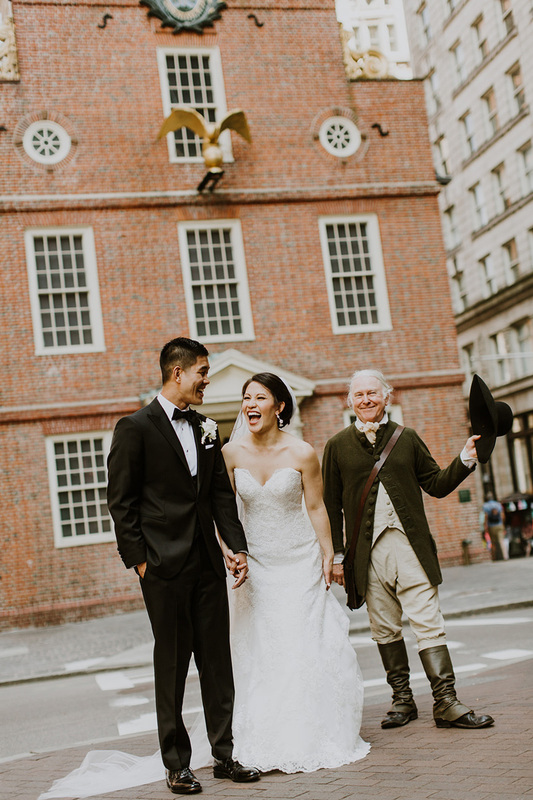 Our Groom and Bride, Michael and Diana, are both transplants to Boston from California so we hit it off immediately on our first phone call. 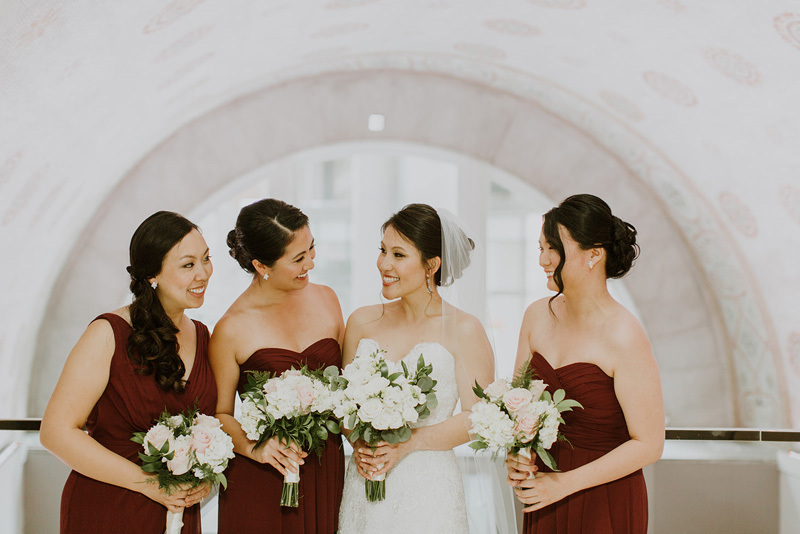 It was such a pleasure working with them throughout the wedding planning process and a joy to see them tie the knot! 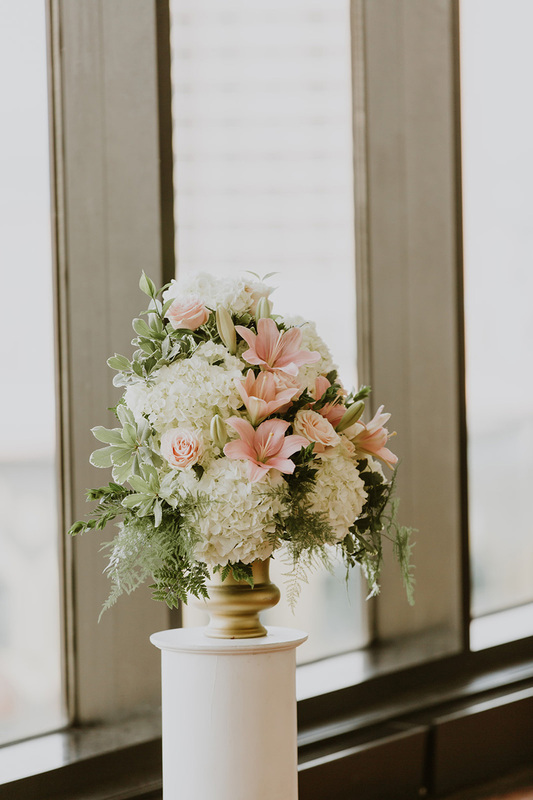 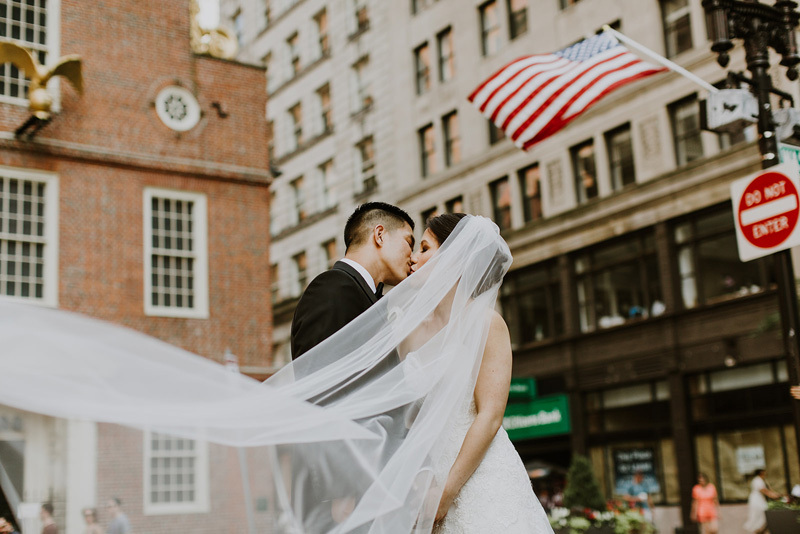 They were married on a perfect summer day in Boston at the State Room, a Longwood Venue. 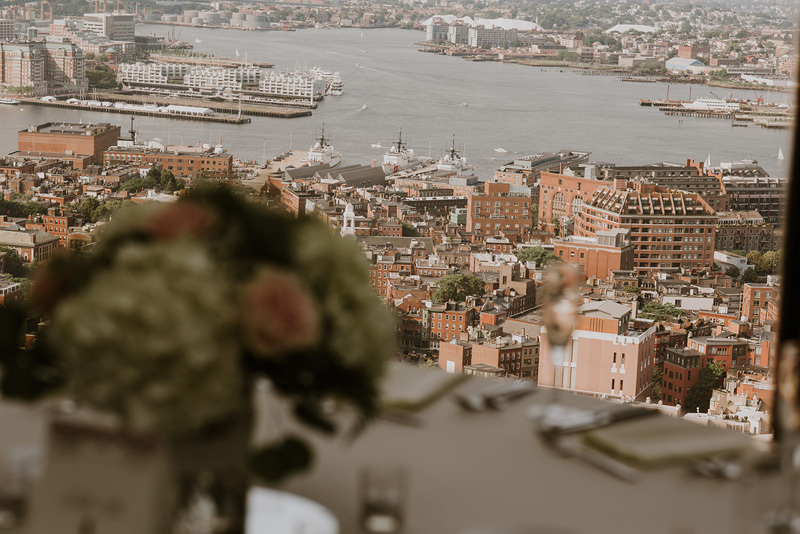 With the State Room’s glass wall 120 ft across and 20 ft high, Michael and Diana gave their guests a truly unmatched view of Boston. 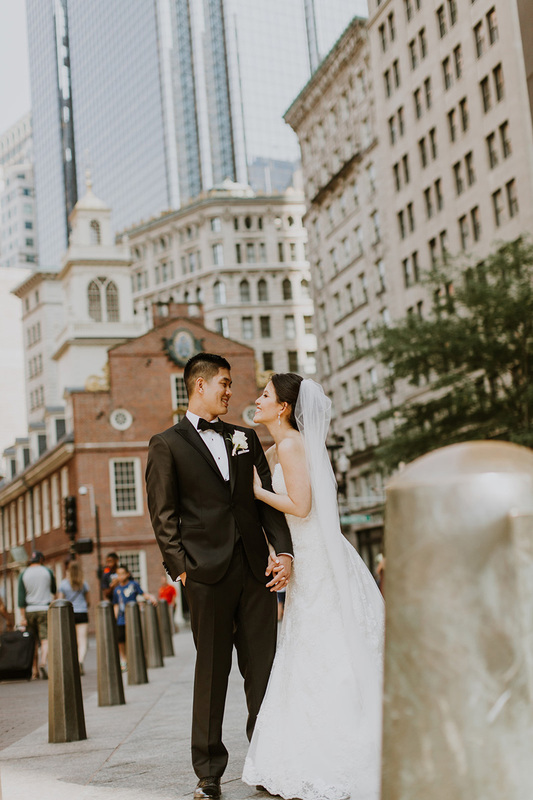 And, we loved that the Bride and Groom took time for photos at iconic spots on State Street. 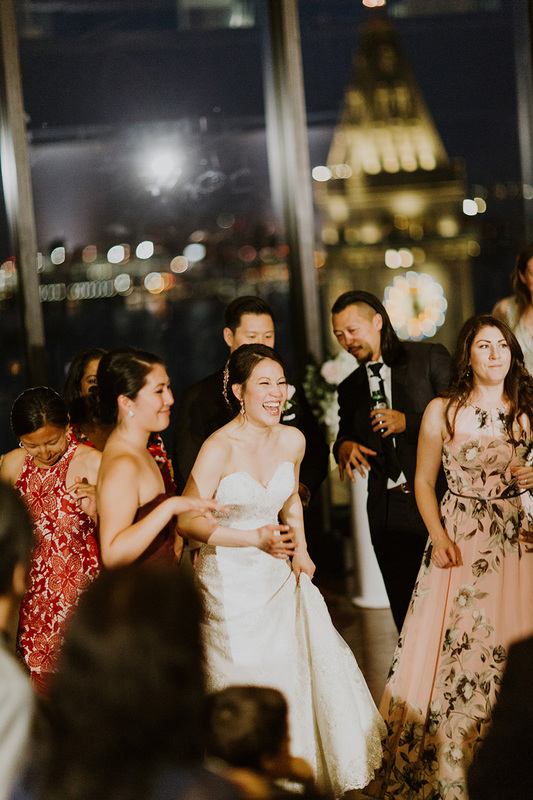 The dancing started just as the sun was setting and the city lit up. 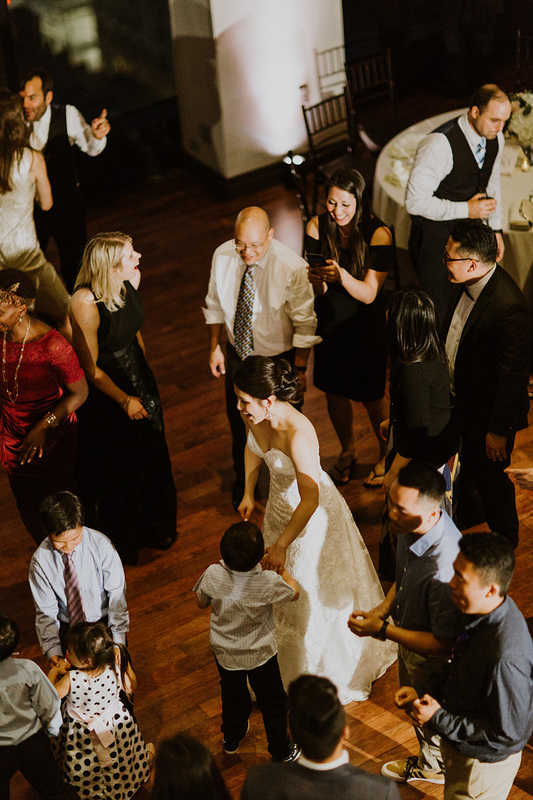 It really was a magical evening that we were honored to be a part of!